The 1st Annual / Mayor’s 2018 Newcomers Welcome B.B.Q. 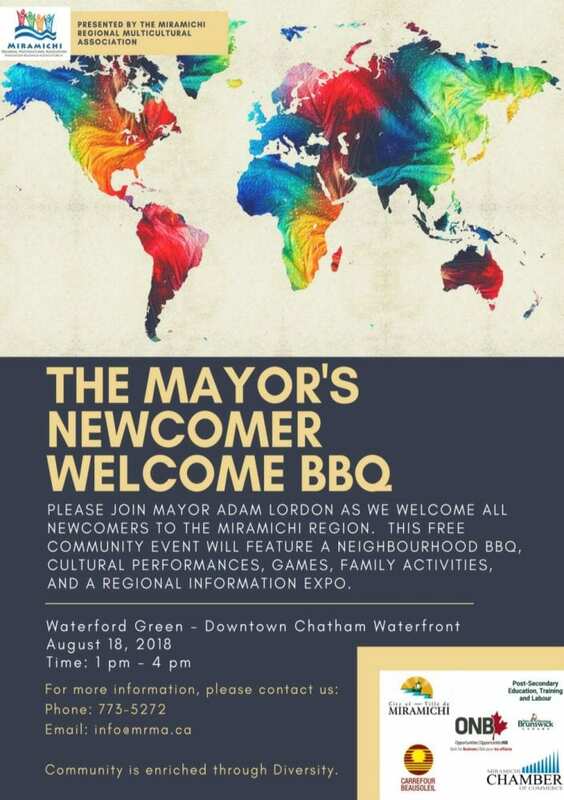 (Miramichi, NB) – The Miramichi Regional Multicultural Association and Miramichi Mayor Adam Lordon today announced the launch of a special new event, The 1st Annual / Mayor’s 2018 Newcomers Welcome B.B.Q., intended to welcome all newcomers to the Miramichi region. 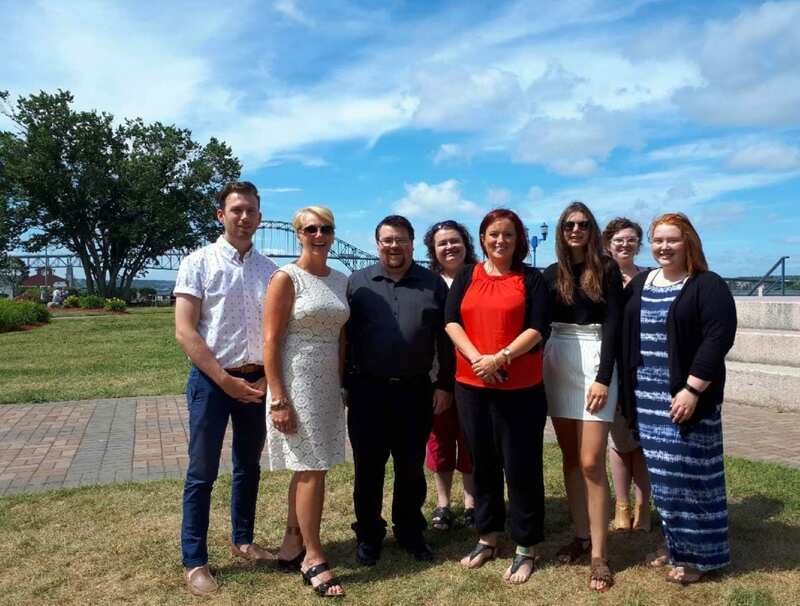 “Over the past few years Miramichi has seen hundreds of new community members arrive in our city and region. From immigrants and new Canadians in search of a better quality of life and economic opportunities, to hundreds of federal civil servants from across the country to work at the Federal Pay Centre, as well as retirees choosing Miramichi’s laidback and outdoor oriented lifestyle for their retirement community, and young people returning home to raise their families. They’ve all come for different reasons but we want them all to know they are welcomed and valued,” says Mayor Adam Lordon. Information Expo where newcomers can learn more about government services and community resources available to them. 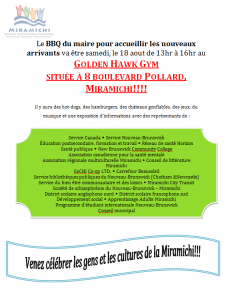 The Miramichi Regional Multicultural Association has been gaining momentum in their efforts to attract new Canadians to the Miramichi region. 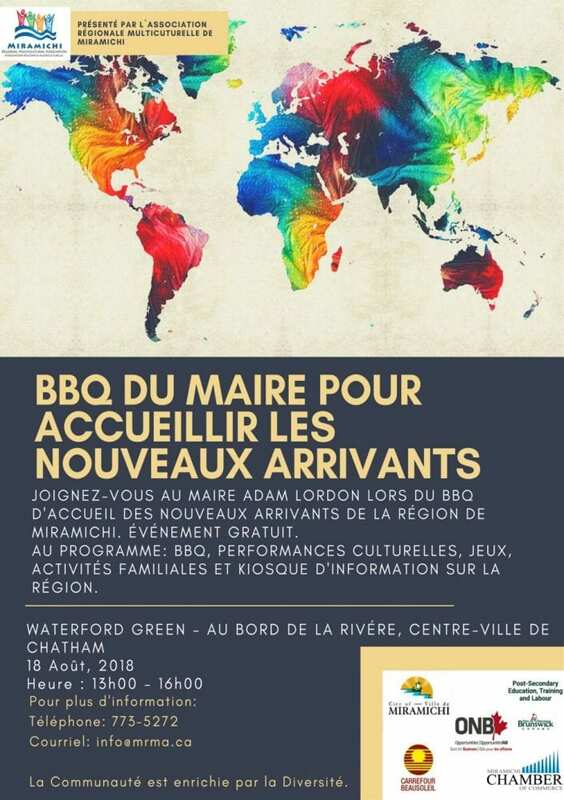 For them, this is the latest in a series of events focused on welcoming, engaging, and integrating international arrivals into life on the river. 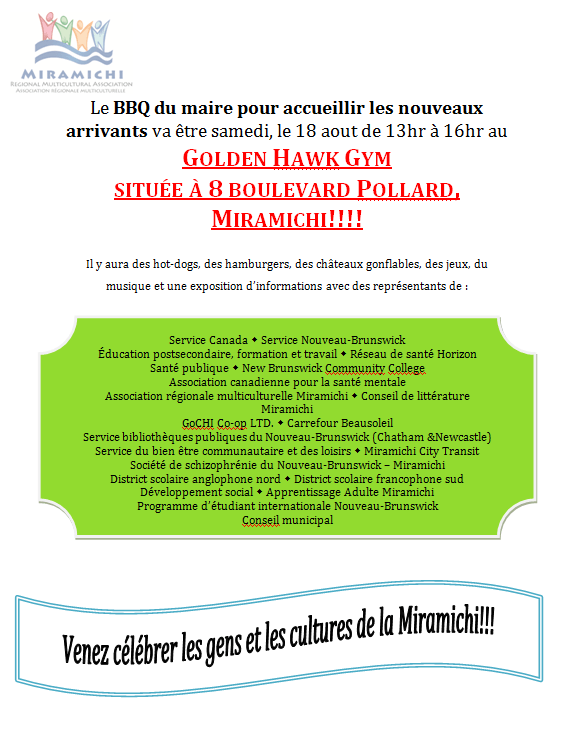 Members of the Miramichi Police Force will be on hand with some of their police vehicles and to help work the BBQ. 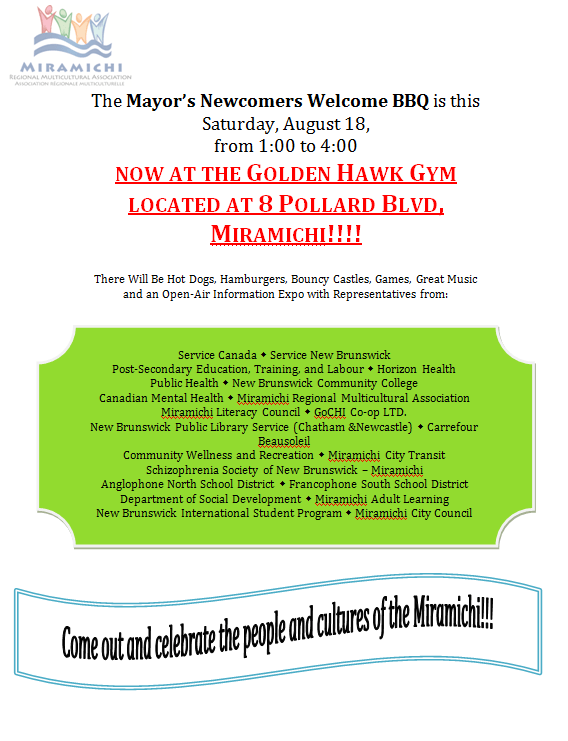 Members of City Council will be on hand to take part in the festivities and welcome newcomers as well. All citizens are invited, in-fact lifelong residents are encouraged to join the fun as well. The Miramichi Regional Multicultural Association is located at 1808 Water Street, in the Historic Chatham Business District (former Town of Chatham) and open Monday through Friday from 9:00 am to 4:00 pm. 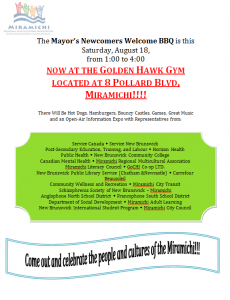 The Mayor’s Newcomers Welcome BBQ will now be at the Golden Hawk Gym, located at 8 Pollard Boulevard, Miramichi East (Chatham). Same date, Saturday, August 18th, 2018 from 1:00 pm to 4:00 pm.